Welcome to our class blog, we are room 27. We have a very busy year ahead of us. Our teacher is Ms Manton. This year, our class is doing the raffle with Ms Bolster. For us this means we have to go around and collect raffle money from the classes we are assigned too and give out raffle tickets. We are making our Confirmation this year on the 12th of February 2015. We have already started our Confirmation booklets. Mr Duffy and Mr Brown have started soccer after school and some of the boys in our class are doing it. Jessica and Gary have been selected for the Fingal County Council in the school and went to the Comhairle na nOg on Tuesday the 11th of November. We are reading Roll of Thunder Here my cry in class. It was written by Mildred D Taylor. Some of the children in our class are doing after school clubs and orchestra, with some of the other teachers in the school. 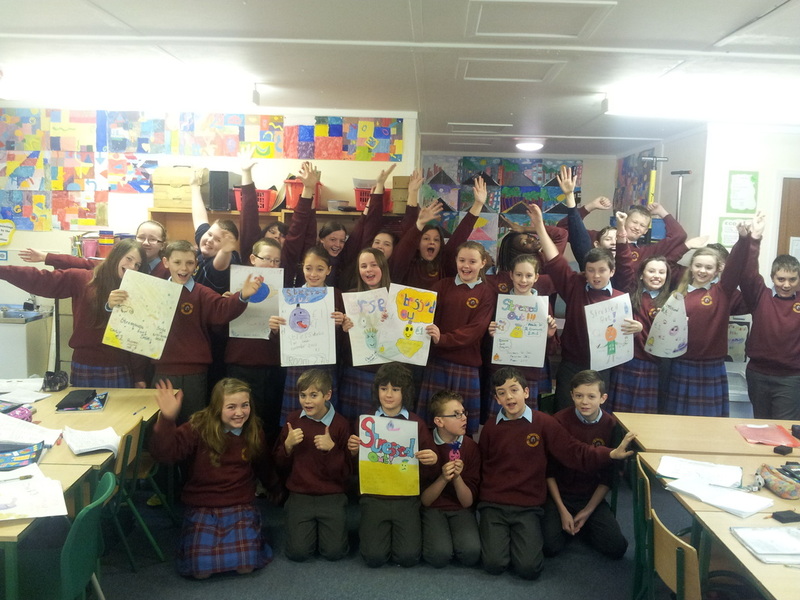 We've had a busy year here in 6th Class in St. Cronan's S.N.S. The Confirmation is behind us, so are the Fingal Enterprise Awards but we still have the Talent Show, School Tour and Summer Concert to look forward to. We can't believe we're already into the last term of our primary education! Let's hope it's the best one!